100 Songs in the Key of C. Composed by Various. Easy Fake Book. Christmas. 152 pages. Published by Hal Leonard (HL.240209). 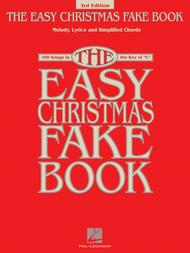 The new third edition of this popular Easy Fake Book title features large, easy-to-read notation, simplified harmonies and melodies, lyrics, and all songs in the key of C. This collection has been updated to include 100 of the most popular Christmas songs of all time, including: All I want for Christmas Is My Two Front Teeth • Believe • Have Yourself a Merry Little Christmas • Mary Did You Know? • Nuttin' for Christmas • Sleigh Ride • Welcome Christmas • White Christmas • Winter Wonderland • You're a Mean One, Mr. Grinch • You're All I Want for Christmas • and more. Features stay-open binding to keep the book flat on the piano or music stand. Ding Dong! Merrily On High! Love it. It has all my favorite Christmas songs and very easy to play. Love the prices of your music. December 20, 2011 Love it! easy to use and I've been able to embellish the music, a bit. It has an excellent selection of songs, both sacred and contemporary. I was a bit disappointed that it didn't have "The Little Drummer Boy" but it's still a great book. I highly recommend it for beginner and intermediate pianists who want to play Christmas music for fun and work on chords and inversions. 23 of 40 people found this review helpful. 22 of 44 people found this review helpful. December 29, 2008 Loved it!!!!!!!!! I would recommend it this to anyone! 31 of 61 people found this review helpful. 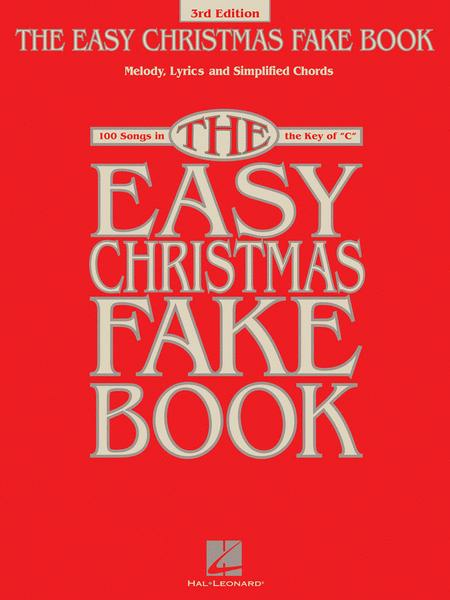 I am enjoying the Christmas Fake Book 2nd Edition very much -it is a fast and easy way to learn to play Chistmas music for my grandchildren and child daycare. I recomend this book its worth it. 24 of 48 people found this review helpful.